While there is a slight possibility that Jones may engage in a trilogy fight with Daniel Cormier, another “Bones” vs. “DC” bout looks to be unlikely at this point. Instead, we take a look at four opponents who have a stronger case for a shot at the 30-year-old. 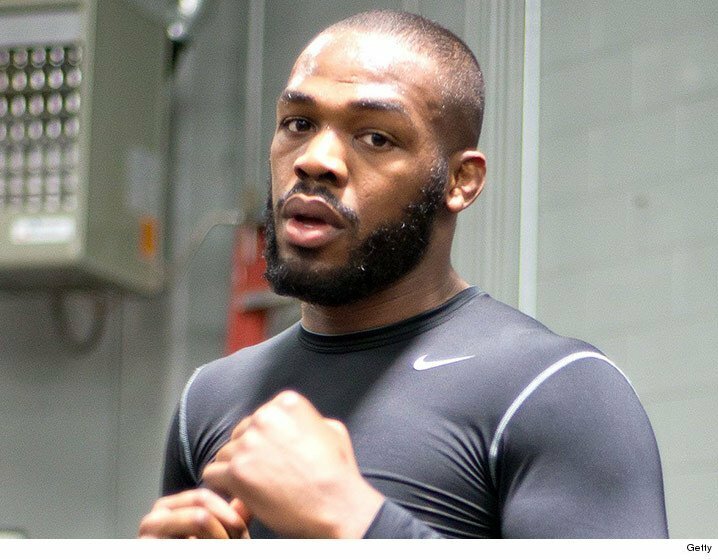 A very credible option should Jones choose to stay at light heavyweight. Many will remember the test which Jones was handed by Sweden’s Alexander Gustafsson at UFC 165. Jones and Gustafsson put on an absolute spectacle on the night, in what many would attest to as being one of the most impressive title fights in UFC history. This is a match up which has been mooted on many occasion and could realistically be on the cards for later this year. Oezdimir may not be the most popular match ups for Jones right now, but it is very clear that the man has great potential. Oezdemir’s path to potential title fight reckoning has been a dramatic one, to say the least. Initially brought in as a last minute opponent for a previous challenger of Jones, Ovince St. Preux, The Swiss built upon an impressive victory over “OSP” with two explosive and convincing wins over light heavyweight top prospects Misha Cirkunov and Jimi Manuwa – both men were put away in under one minute. It is clear that Oezdimir is inexperienced in terms of UFC fights (just three), but there is no doubt that his thunderous performance against Manuwa, a man who was expected to challenge the winner of Jones vs. Cormier, has put him into the reckoning. Stipe Miocic currently holds the UFC heavyweight title and has definitely had his head turned by Jones’ recent call out of former champion Brock Lesnar. While this one may seem far fetched, it is probably more likely that one would think. Granted, Lesnar would need to re-enter USADA’s testing pool and serve the six month suspension incurred as a result of his UFC 200 bout against Mark Hunt (drug related), but money talks. WME-IMG, the company who acquired the UFC for $4 billion dollars last year, would certainly approve. A match up between man mountain Lesnar and perhaps the greatest UFC fighter of all time in Jones. As weird as this may sound, it is probably the most likely of all four to happen (at some point, at least).